We do fast and affordable barbecue grill repair on all models and brands of barbecue grills. For example, we service Alfresco, Capital, DCS, Fire Magic, Kalamazoo, Lynx, TEC Sterling, Thermador, Twin Eagles, Viking, Weber, Wolf and much more. Our technicians are factory trained and certified. They know everything there is to know about all barbecues. If your barbecue is dirty and needs cleaning, we can help you too. Our technician will thoroughly examine your grill and find out what needs to be done. He will find the right parts if necessary and will professionally install them in no time. You will get a barbecue grill that is clean, safe and perfectly functional. Customer satisfaction is guaranteed. It does not matter how old your grill is or what dirty or broken it is. Most of the time older grills hold a lot of value. 10-20 years ago grills were made from much better materials than they are today. In fact, they were built to last. Our experienced professional will let you know if your barbecue is worth saving. We can repair and restore any grill and even make it better than it was before. Our custom restoration makes your grill feet to your needs. We will do any barbecue grill repair including gas BBQ, charcoal BBQ, electric BBQ, portable BBQ and smoker BBQ. Give us a call, and you will see what can be done with your old grill. Besides having excellent skills we also offer you fantastic customer service. Our barbecue grill repair men are friendly, polite and very professional. They always come on time and carry all of the tools with them to every job. We have flexible schedule including late afternoons and weekends. 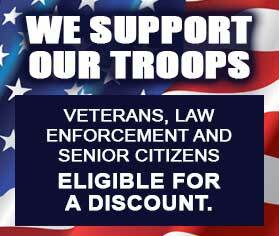 Also, you get FREE service call with repair and FREE and accurate estimate before any job. Our prices are always fair, and we keep our customers happy. In fact, we try to make your appliance appointment and convenient as possible. 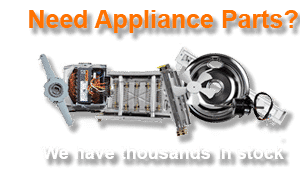 Oregon Appliance Repair has more than 30 years of experience. We serve commercial customers as well as residential customers. Our goal is to keep your appliances in the best shape possible.We are family run and family managed company who tries hard to keep its clients happy and satisfied. Besides specializing in barbecue grill repair, we also do refrigerator repair, washer repair, dryer repair, dishwasher repair, stove and range repair, oven repair, steam oven repair, microwave repair, freezer repair, ice maker repair, pizza oven repair, patio heater repair and much more. In fact, we can repair any appliance in your kitchen or laundry room. Our highly skilled technicians repair all brands of appliances such as Asko, Bertazonni, Bosch, Dacor, DCS, Electrolux, Fisher&Paykel, Frigidaire, GE, Jenn-Air, KitchenAid, La Cornue, LG, Liebherr, Marvel, Miele, Perlick, Samsung, Siemens, Sub-Zero, Thermador, Traulsen, True, Viking, Whirlpool, Wolf and many more. So what ever your home appliance problem is you can always ask us for help. For best barbecue grill repair call us at 541-948-8835 or fill out our short contact form. Our experienced barbecue grill repair technician will be ready to take the project. He will make sure to bring all of his equipment and tools with him. Sometimes we even have parts on hand for some projects. In any case, as soon as he gets to your residence he will start working on your grill. Whether you need a cleaning, a repair or a full restoration, our technician will make sure to examine your grill thoroughly. He will usually completely disassemble it and clean our certain parts. Only when a grill is clear of debris and baked on grease will it be clear what is going on. Once our tech has figured out what is going on, he will try to figure out the best and most cost-efficient way to fix it. Sometimes all it takes is a little bit of tinkering or even some deep cleaning, and your grill will start working just fine. But often we will need to replaced parts. Some barbecue grill parts deteriorate quickly due to constant use and a difference in temperatures. Also, you grill is usually outside and is exposed to outside environment. Sometimes the only way to fix your is to get new parts for it. We are respectable and company with more than 30 years of hands-on experience in all aspects of appliance repair. Our company specializes in BBQ repair in particular. The team that works for our are factory trained and certified. They will work diligently to repair your grill and give it another chance in life. We can help you whether you need barbecue grill cleaning, a barbecue grill restoration or barbecue grill repair. Our company deals with both built-in and freestanding barbecues, and we also know how to install them for you. You can trust us for the best and most convenient barbecue grill repair service at a very reasonable price. Customer satisfaction guaranteed! For professional barbecue grill repair, please call us at 541-948-8835 or fill out our short contact form. We will be happy to set up a convenient appointment for you. Our friendly and highly skilled licensed technicians will soon be on their way to repair your appliances. We do barbecue grill repair in Bend, Eugene, Portland, Central Oregon, Crook County, Deschutes County, and Jefferson County. 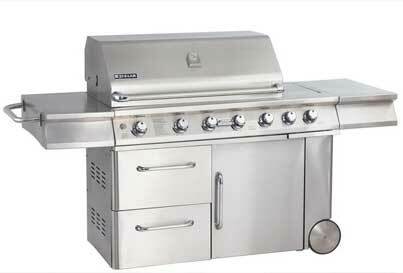 We do fast and affordable barbecue grill repair on all models and brands of barbecue grills. For example, we service Alfresco, Capital, DCS, Fire Magic, Kalamazoo, Lynx, TEC Sterling, Thermador, Twin Eagles, Viking, Weber, Wolf and much more.